Kerry: 'Diplomacy is our first resort' Jump to media player US Secretary of State John Kerry and the Russian Foreign Minister Sergei Lavrov speak about the need to solve Syria's chemical weapons crisis, ahead of a meeting in Geneva. 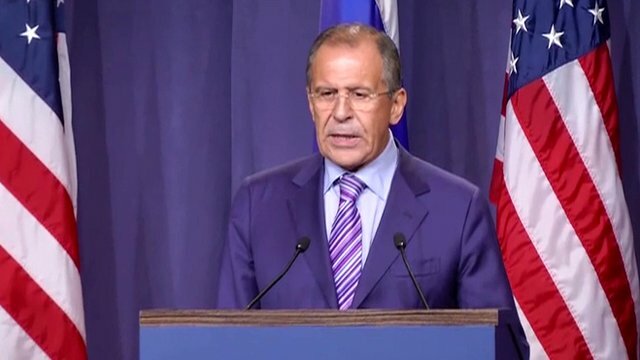 Lavrov: 'We both prefer a peaceful way' Jump to media player US Secretary of State John Kerry and the Russian Foreign Minister Sergei Lavrov speak about the need to solve Syria's chemical weapons crisis, ahead of a meeting in Geneva. 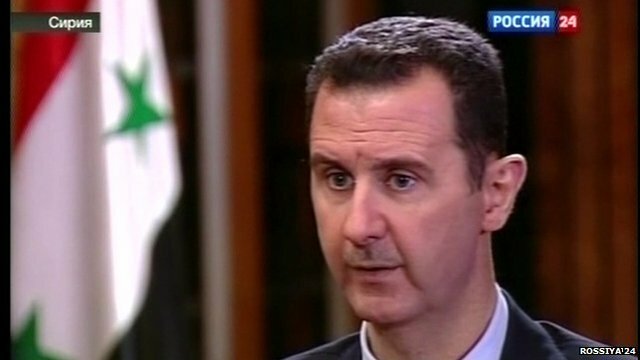 Assad sets out his weapons terms Jump to media player Syria's President Bashar al-Assad has spoken about placing its chemical weapons under international control and said that the US must "stop threatening us and supplying terrorists with weapons." 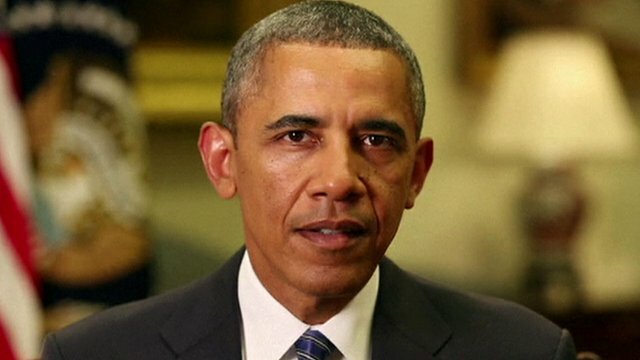 Obama: 'Can't turn blind eye' on Syria Jump to media player President Obama has urged members of the US Congress to support military action against the Syrian government. 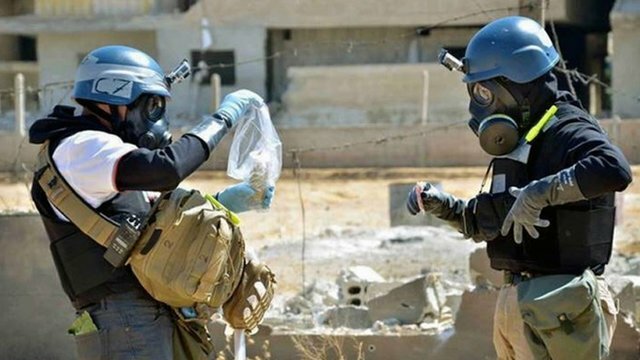 Hunting chemical weapons 'not easy' Jump to media player Russia has claimed it has a "concrete plan" to put Syria's chemical weapons under international control. Inside Syrian town where battle rages Jump to media player The battle for the Syrian Christian town of Maaloula is continuing, with heavy gunfire, says the BBC's Jeremy Bowen. 'Rebels stole everything from us' Jump to media player A former resident of Maaloula tells how she was forced out of her home when the village was captured by rebels at the weekend. US Secretary of State John Kerry and the Russian Foreign Minister Sergei Lavrov have spoken about the need to solve Syria's chemical weapons crisis, ahead of a meeting in Geneva. 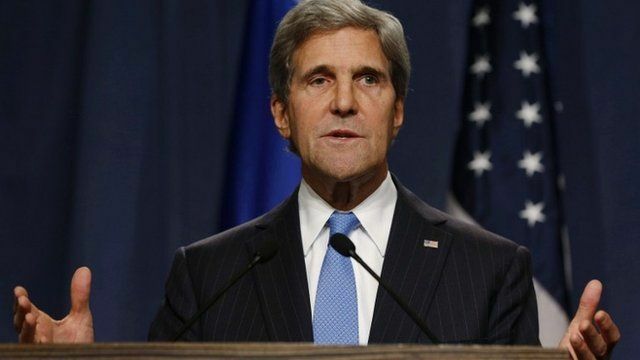 At a joint news conference, Mr Kerry said he was serious about ''meaningful'' negotiations to resolve the situation, even as the US military took up its position in the region.